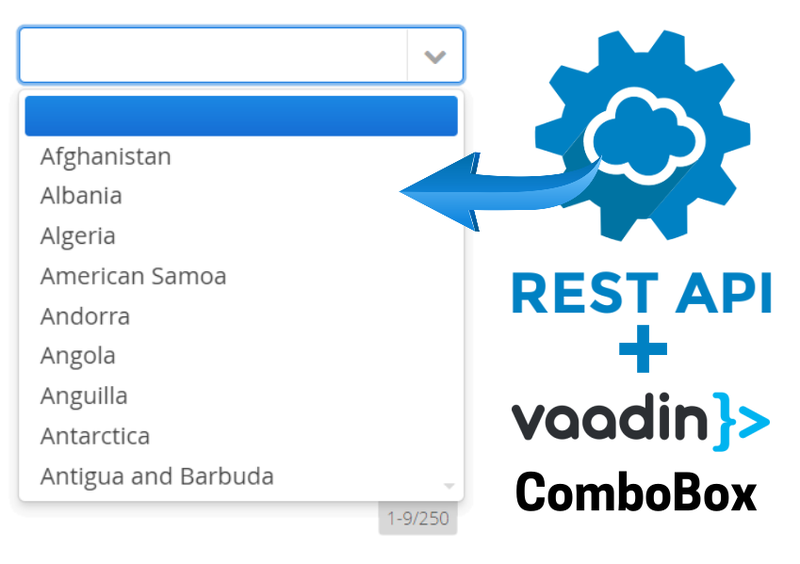 In this post we'll explore how to access a REST service in order to display items in a ComboBox in Vaadin 8. The web service will be exposed at http://127.0.0.1:8081/api/countries. It will receive no parameters and return an array containing the name of all the countries known by the JVM (the Geography knowledge of the JVM is amazing!). Fortunately, we can do it better by specifying an smarter DataProvider that will take the responsibility of fetching items on demand. For this we'll use the method setDataProvider of ComboBox, that instead of a stream/collection/array of items, receives as parameter a DataProvider<T, String>. 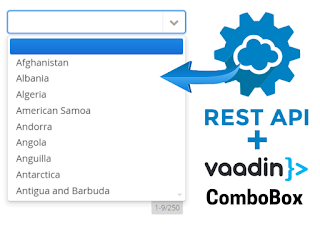 In order to take advantage from the CallbackDataProvider, we'll need to introduce a couple of changes to our REST service (CountriesController). First, we'll need a method that returns a subset of <count> items, matching a given <filter> and starting at a given <offset>. As a final note, there are other components that also use DataProvider, such as Grid and TwinColSelect. You can download and run the complete code of this example from github. Really glad to hear that this article was helpful to you. Feel free to contact us if you have ideas for more technical posts.